Home General News Harcros Chemicals, Inc., Westbrook, ME, Awarded $10,000 to MPTC’s Fund a Kid Campaign! Harcros Chemicals, Inc., Westbrook, ME, Awarded $10,000 to MPTC’s Fund a Kid Campaign! Disability RMS, Westbrook, ME, awarded $5,000 to MPTC’s Fund a Kid Campaign and $5,000 for MPTC’s renovation fund! The Edward H. Daveis Benevolent Fund of the Maine Community Foundation approved a grant for $7,500 for MPTC’s Youth Leadership Academy to promote leadership and life skills excellence. The Directors of the Maine Community Foundation approved an advised grant for $6,425 to add a mental health, first aid, embedded programming component to existing programming. This grant is made from the Undapassawana Fund of the Maine Community Foundation. The Rines/Thompson Fund of the Maine Community Foundation also approved a grant for $7,500 to add a mental health, first aid, embedded programming component to existing programming. • Emerald Management, Westbrook, ME, awarded $3,240 to MPTC’s Fund a Kid Campaign! • Trinity Lutheran Church awarded $1,200 to MPTC’s Fund a Kid Campaign! • Acadia’s Community Relations team fundraised $1,175 for MPTC’s Fund a Kid Campaign! 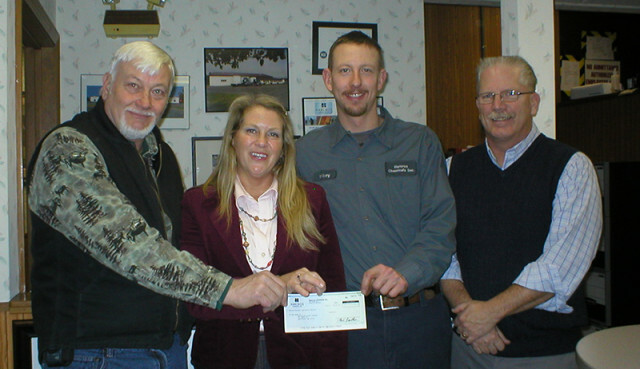 • Saccarappa Lodge 86, Westbrook, ME, awarded $1,000 to MPTC’s Fund a Kid Campaign! • Clark Insurance, Portland, ME, awarded $250 to MPTC’s Fund a Kid Campaign! My Place Teen Center provides a safe haven for youth, ages 10 – 18, sustaining them with comfort, meals, resources and hope. All youth will have the academic, job readiness, and life skills necessary to lead independent adult lives filled with stewardship, courage, passion and joy. Subscribe to our newsletter to stay on top of the latest developments at My Place Teen Center. There's always something going on at MPTC! Copyright 2017 My Place Teen Center. All Rights Reserved.